Design and install a hydraulic loading door that will reduce shot loss by at least 98%. The design must handle extreme foundry conditions including heavy castings, heavy amounts of sand and around the clock operation with a performance guarantee. 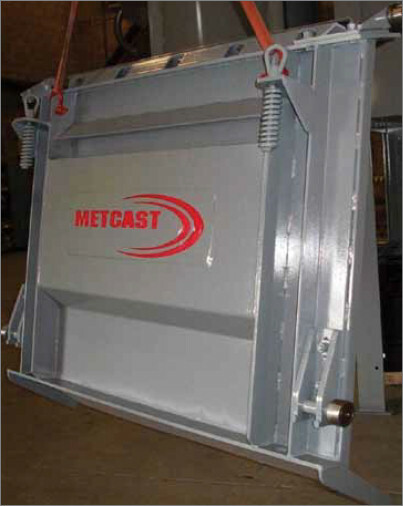 Metcast LF Hydraulic Loading Door System designed specifically to replace the existing, ineffective Wheelabrator® door.